Montgomery County will be the first suburban jurisdiction in the country to offer residents dockless bike sharing under a new agreement with Mobike, the largest such company in the world. County Executive Ike Leggett (D) said the agreement would be a pilot project that would bring 400-500 bikes to Silver Spring for riders to test the concept. The trial is expected to start later this month. Unlike the Capital Bikeshare system currently available, which requires fixed bike docking stations, Mobike users pick up, ride and then park a bike wherever it’s convenient for them. 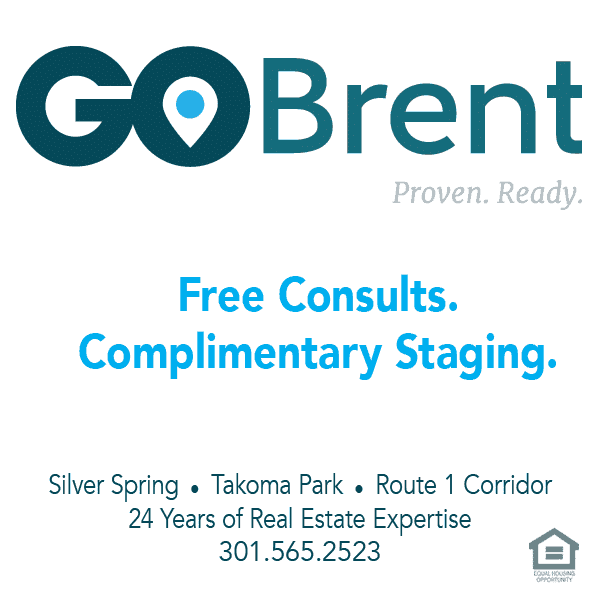 “With the addition of Mobike, biking across town can be a spontaneous act,” said Council Vice President Hans Riemer (D-At Large), an avid cyclist (Leggett referred to him as “a champion for bicyclists”). “It can be something you weren’t expecting to do, but you got here and boom, here’s a bike, why don’t we go check out Sligo Creek?” Riemer continued. The announcement of the Mobike agreement was part of a brief ceremony marking the official opening of protected bike lanes on Spring and Cedar streets. 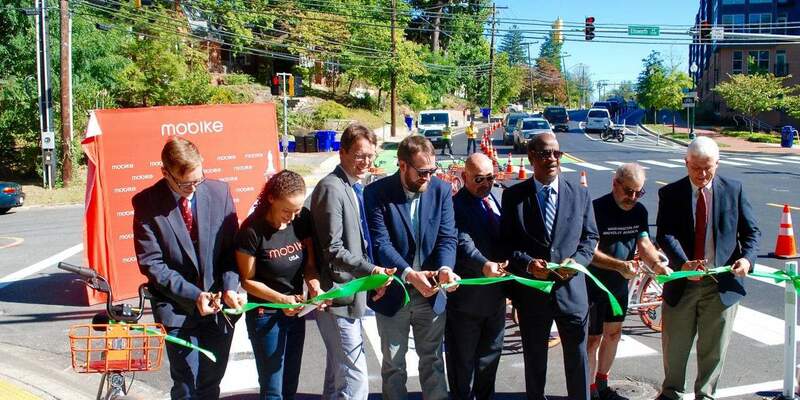 Combined with four floating bus stops along the route, the bike lanes “help to move Montgomery County closer toward its goal of having zero deaths on our roadways,” Leggett added. Riemer referred to the lanes as a game-changer. Planning Board Chair Casey Anderson, a cyclist himself, credited biking for piquing his interest in planning. He said that in 2005, he tried participating in a Bike to Work Day. One thing led to another, and now he’s heading up planning, including for facilities such as the bike lanes. He noted that after years of talking, improvements are becoming a reality. vel, dapibus ipsum libero. ipsum porta. leo ut ante.